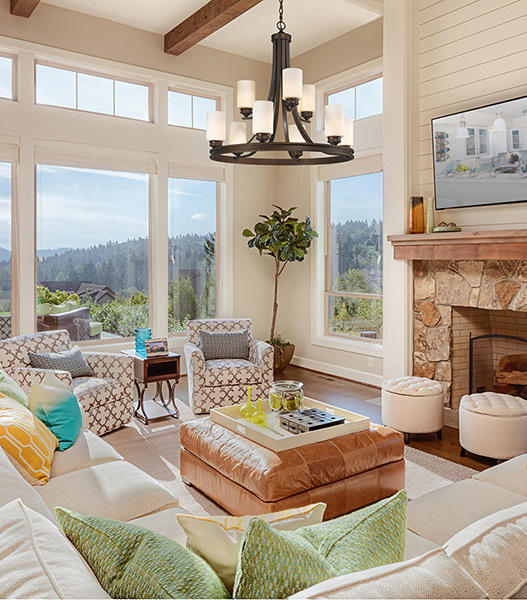 Whether you use your family room or great room for entertaining, watching television, reading, or playing games, three to four layers of lighting should be used. Your fixtures can include recessed lighting at the perimeter of the room, a chandelier or central decorative fixture for general lighting, wall sconces for mood, and floor or table lamps for reading and other tasks. 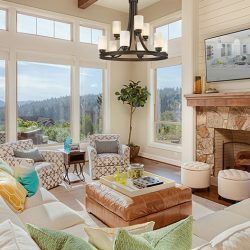 Accent Lighting in Wichita has the ideal fixtures for every homeowner, and we’d love to help you pick out your new family room lighting. Some of the best lighting features you can add to your family or great room are dimmers and other lighting controls. This gives you maximum control of all lights, and since the space is multipurpose, you’ll be able to set the lights at the appropriate level for the current project or activity. You’ll also be able to use the lighting to create zones, such as play areas, reading nooks, and a sitting/entertaining space. 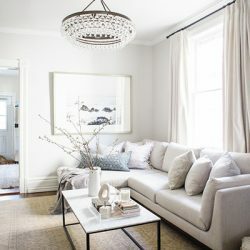 This room is most likely one of the largest in your home, and having the right lighting can make it feel both comfortable and inviting, while also eliminating any shadows or dark corners. If you’re shopping for new home lighting, or you have questions about which fixtures will work best for your home’s design and layout, visit our showroom today or browse through our online catalog. We’re open from 8:00am to 5:30pm Monday through Friday, and from 10:00am to 2:00pm on Saturday. We’d love to sit down with you and discuss the best options for improving your lighting!